Continuing our delightful run of cheesecake recipes! In a busy household coffee was always brewing... after dinner dad would always prepare some coffee and mum would turn out a lovely dessert! 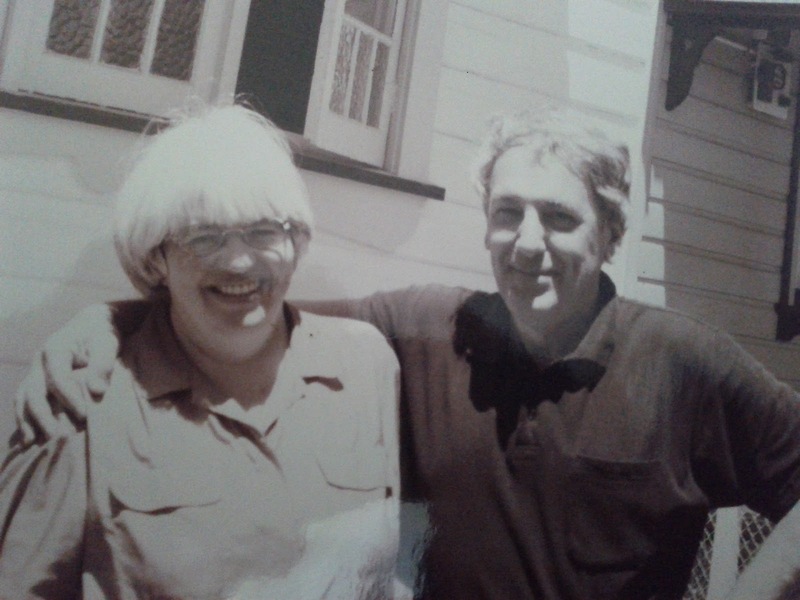 They made a great team - in so many ways ... This little cheesecake combines the best of both worlds. For crust, stir together flour and brown sugar. Cut in butter until mixture is crumbly. Stir in egg yolk and vanilla. Pat 1/3 of mixture onto the base of a 20cm springform tin with sides removed. Bake in a preheated oven at high for five minutes (200 degrees). Let it cool. Grease the sides of the tin and attach to base. Pat remaining dough onto the sides of the tin to the height of about 4cm. Set aside. For filling, combine milk and instant coffee and let stand until powder dissolves, stirring occasionally. 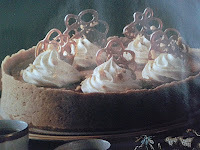 In a large bowl beat together cream cheese, caster sugar, brown sugar, flour and vanilla essence until smooth. Add eggs, beat until just mixed through. Don't over beat it! Stir in coffee/milk mixture. Pour into the springform tin. Preheat the oven to high at 190 degrees and bake for 40mins or until centre appears set. Cool cheesecake on a wire rack. Chll before setting. For walnut sauce, in a heavy based saucepan cook sugar over medium-low heat until golden, stirring constantly. Remove from the heat. Add hot water and cocoa. Return pan to heat and stir until sugar and cocoa dissolve. Mix two tablespoons of cold water and cornflour together, stir into sugar mixture. Cook, stirring until the mixture comes to the boil and bubbles form. Cook for two minutes more. Stir in the butter and walnut pieces. For caramel fans in a heavy based pan cook 125 sugar over medium-low heat, stirring constantly until sugar is dissolved and mixture is golden. Remove from the heat and let cool one minute. Drizzle from a teaspoon onto a lightly oiled sheet of foil, forming loops into fan shapes. Sprinkle with finely chopped walnuts. Cool completely and peel away foil. When the cheesecake is ready to serve drizzle with walnut sauce. 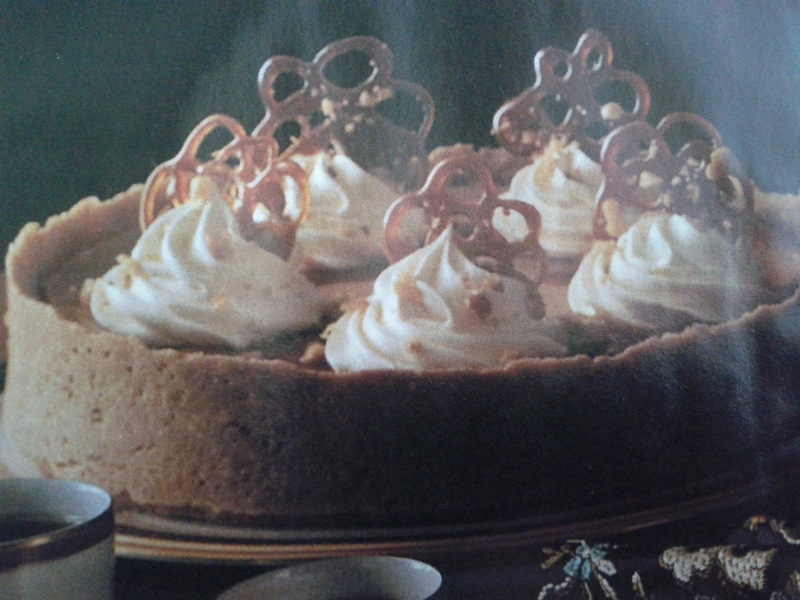 Decorate with swirls of whipped cream and place the caramel fans on top. 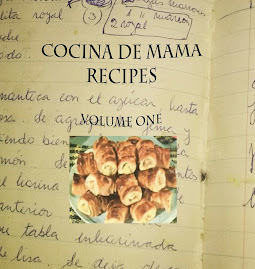 Don't forget to catch the live recipes on the Cocina de Mama YouTube channel: www.youtube.com/cocina-de-mama.